After all, those with a positive well-being are found to have a lower risk of heart disease, lower blood pressure and normal body weight. Being happy can strengthen the immune system and help you fight off everyday stressors. Considering that we spend one third of our lives at work — happiness shouldn’t just be confined to just our personal lives. When people are happy at work they’re more engaged and productive, teir morale is higher and they call-in sick to work less often. That’s definitely good for your bottom line. Happiness lies in simplicity. This means finding joy in all those amazing simple pleasures that life has to offer. It could be laughing at a YouTube video or being told that you’re crushing it at work. 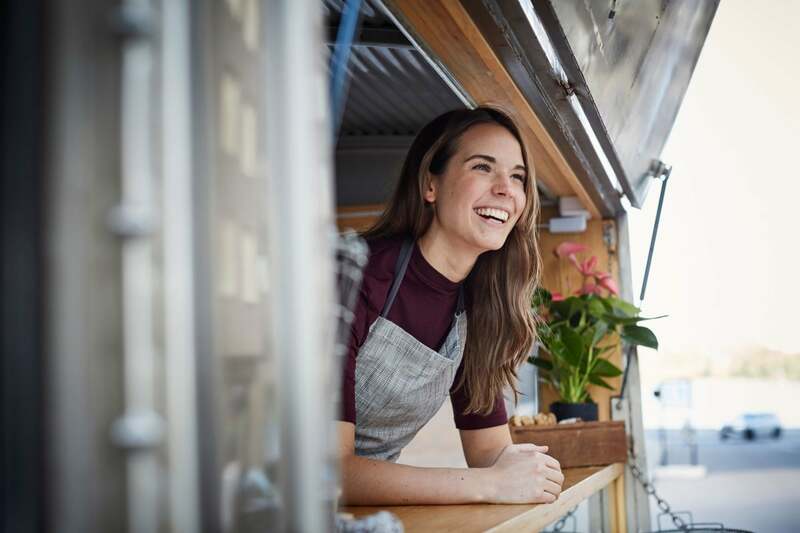 How can you apply the business happiness concept when starting your own business? Secondly, no matter where you’re at with your business, make sure that you set S.M.A.R.T. goals. Time bound (time-based, time/cost limited, time-sensitive). Playing games and contests: This could anything from friendly sports match to going out to a trivia night to team-building exercises like an egg drop competition. It’s an effective way to build camaraderie, display various talents, and break-up the monotony of the daily workday. Celebrating success: Did you or your team reach a milestone? Congratulate them through an awards show, shout-out in a newsletter, or write them a handwritten thank you note. At Calendar, I show my team the positive reviews we receive to show that customers appreciate the hard work we’ve been putting-in. Incorporating mindfulness: Everyday you should meditate or do yoga. It clears your head and puts things in perspective. Being grateful: Instead of focusing only on the negative, start a gratitude journal. Once or twice a week jot down something specific that was awesome. It helps you reflect on the positive things in your life. Giving back to the community: Helping others makes us feel great. Schedule time-off from work for you and your team to volunteer at a local non-profit. Celebrating birthdays and work milestones: You don’t have to go crazy with birthday parties and cake. But you can give your team a gift card for their birthday. If your business has reached a milestone, celebrate with your team, like going to happy hour. A fixed mindset is where people believe that the qualities they possess, like intelligence and talent, can’t be changed. Instead of developing these qualities, they document them. They also believe that success can be determined be talent alone. A growth mindset: is where qualities like intelligence and talent can be developed. Through hard work, learning, and resilience those with a growth mindset can achieve anything. Do you know what really keeps people happy throughout their lives? It’s not money or fame. It’s the relationships that we develop and maintain. I believe the same is true when you’re an entrepreneur. If you feel that you need to expand your network — join a networking group like SCORE, Entrepreneur's Organization, or your local Chamber of Commerce. Companies like Southwest Airlines and Zappos aren’t just successful household names. They’re also known for making happiness their business model. Laurence McCahill at the Happy Startup School has a three-step process to making happiness your business model. Define what success looks like to you: It’s not the money in your bank account that determines your success. It’s all about the life you want to lead and how you want to make the world better. Define your startup DNA: The foundation of your success should always be your values, passion, and purpose. This won’t just make you happier. It will also guide you in all the decisions you’ll make as a business owner. Test ideas and experiment with different business models: Don’t be afraid to keep trying out various business models. You ultimately want to find one that aligns with your values, passion, and purpose. Only set attainable goals: Following the S.M.A.R.T. goal system is an effective way to achieve this. Don’t take “no” personally: You’re going to hear “no” a lot. Shake it off and move on to the next prospect or investor. Stop spreading yourself too thin: Don’t say “yes” to every request and event. Doing so will only stress you out because you’ve overextended. Focus on your priorities and only say “yes” to the things that can make you a better business owner. Achieve work-life balance: Don’t work 24/7. Make the time to do the things outside of work that keep you happy and sane. Cultivate a positive work environment: There’s several ways to do this. Start by keeping your workspace clean and organized. Surround yourself with plants, photos, and inspiring quotes. Secondly, encourage team building exercises and remove any toxic employees or clients. Be a problem solver: Instead of creating problems, look for innovative ways to solve them. Spend your time wisely: Definitely keep busy. But, make sure it’s a productive use of your time. You don’t want to work just to work. The same is true of your down time. Instead of watching Netflix all day, use that time to read, exercise, or learn something new.